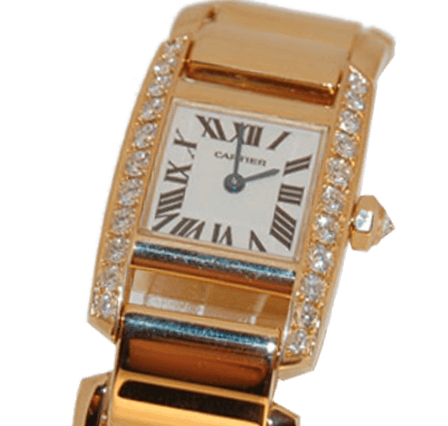 Buy Cartier Tankissime WE70017H, Great Deals & Prices. We Sell Quality Pre-Owned, Vintage and Modern Watches. Browse our range of watches for men and ladies. Quick and Efficient Service, With Free Fully Insured Delivery Available On All Orders. We offer a free collection service from our secure workshop in Hatton Garden or Boutique in Walthamstow, London. You will need to provide photo ID upon collection of your order. Call one of our experts on 07531 666777 to discuss your requirements. Our dedicated team are here to assist you throughout the sales process and as we are not tied to any one manufacturer you can rest assured of getting the right advice and best price. One thing should be kept in mind that buying a pre-owned watch does not mean compromising on quality. All our watches are taken care of from sourcing to storage all the way through to delivery. Our servicing team makes sure that all the watches are as close as possible to being brand new. Fake watches have become a source of great loss to the Industry, therefore we thoroughly inspect any watches we deal in and any watch found fake is removed from the business. We work alongside the Watch Register who informs us if any watch we handle is reported lost or stolen on their database. We offer twelve months of complete warranty which means if your watch is not working we will fix it, free of charge (terms and conditions apply). We will book your watch for repair and get it fixed as quickly as possible. Swiss watch buyer wants you to be completely satisfied with any service you choose to use. We aim to provide a hassle free service so that our customers return to us time after time.